British tourists travelling to Brussels for the festive period have been disrupted by industrial action from Belgian transport staff. As a result of the 24-hour strikes, which began on Thursday and are in protest at austerity measures introduced by the government, London to Brussels trains had to start and finish at Lille, in France. Those travelling on the Eurostar trains were then directed to a limited coach service to complete their journey from Lille onwards. This could cause considerable delays for tourists and potentially wreck their plans for Christmas, which emphasises the importance of at least having comprehensive travel insurance to cover such inconveniences. 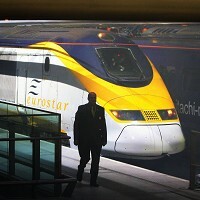 While Eurostar and Thalys were forced to make idle services between Lille and Brussels, the London-Paris Eurostar trains were operating normally. "Eurostar and other onward connecting rail services will not be able to operate to or from Brussels during this period," the rail company said.